The question of the legality of the poison gas attack has been treated intensely and controversially during WWI and particularly in the first years to follow. Not only international lawyers, but also politicians, chemists and representatives of other professions discussed the correct normative standards and interpreted the wordings of treaties in retrospective. They provided assessments not only of the lawfulness of the German poison gas attack at Ypern on April 22nd 1915, but also of those actions of other belligerents using poison gas in the following months and years. Was gas warfare addressed by international law at that time and which military strategies were interdicted? Articles and books on that topic were published, displaying a relentless disaccord in the international academic world. Main legal points of reference were the Declaration (2) concerning Asphyxiating Gases, produced by the first Hague conference in 1899: “The Contracting Powers agree to abstain from the use of projectiles the sole object of which is the diffusion of asphyxiating or deleterious gases.” Furthermore, the Hague rules forbade belligerents “to employ poison or poisoned weapons” Article 23a Hague Regulations (Land Warfare) or “to employ arms, projectiles, or material calculated to cause unnecessary suffering (Article 23e). Some points of discussion were, e.g. if poison gas caused “unnecessary suffering”, or whether canisters “were projectiles”. 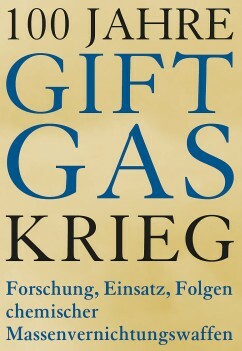 Some authors claimed the poison gas attacks were only “reprisals”, others referred to “war requirements”. After WWI Art. 171 of the Versailles Peace treaty efforted to supplement the prohibition by arms control and disarmament measures. The Geneva Protocol for the Prohibition of the Use in War of Asphyxiating, Poisonous or other Gases, and of Bacteriological Methods of Warfare was adopted on 17 June 1925 (“Geneva Protocol”). My talk aims at providing an overview of that legal discussion among international law scholars and at analyzing their positions.